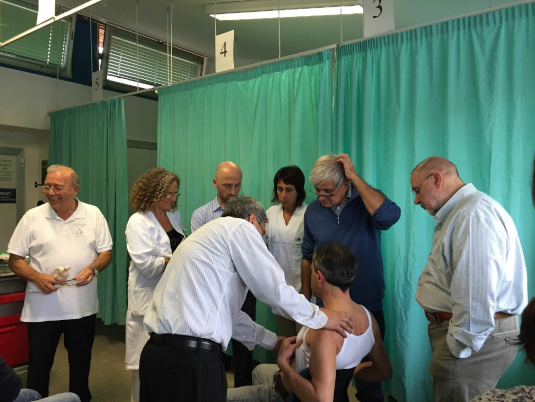 Giovanni is an Italian Doctor who specialized in Sports Medicine and Surgery. 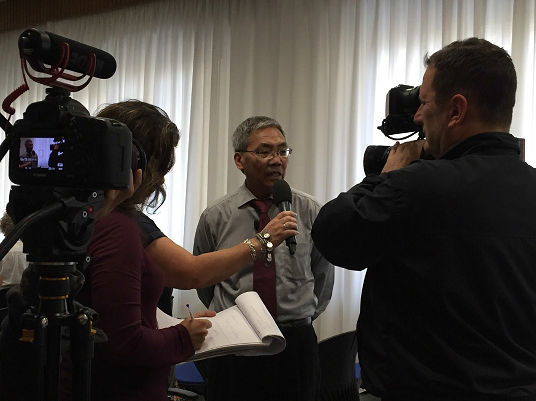 He traveled the World- Japan, Korea, China, U.S. seeking to learn Acupuncture. He heard of Tom while in Minnesota and flew to Boston to meet Tom 7 years ago. Giovanni is the Director of Tong Ren Florence. 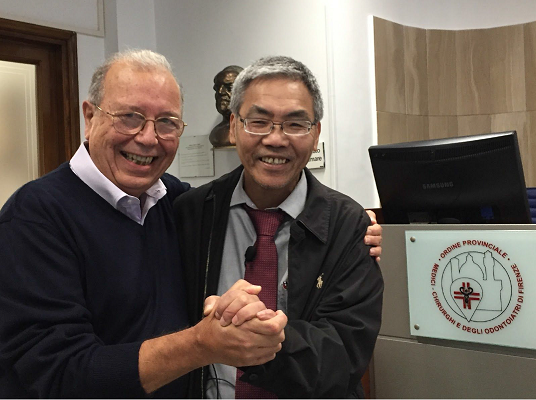 Giovanni was the first of three doctors who presented how they integrated Tong Ren into their western medical practice. medicine. Tong Ren can help medicine work better. Giovanni’s practice changed when he integrated Tong Ren. He’s healing people to live and not preparing them to die. Physics especially quantum physics need to be applied to medicine and healing. Tong Ren healing is quantum healing. 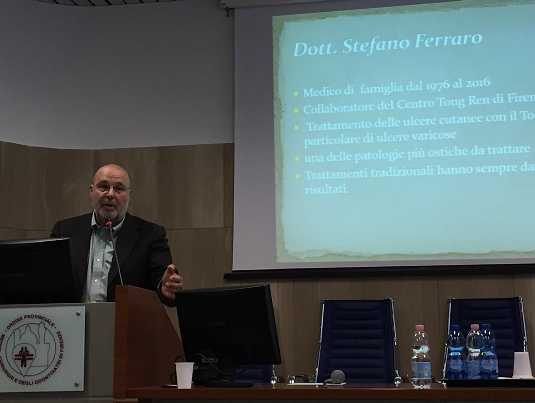 Dr Stefano Ferraro retired from 40 years of practice in Family Medicine. He is currently a collaborator at the Tong Ren Center in Florence. Stefano treated for over 10 years with conventional medicines with no results. 2. Secrecy- no one, not even the nurses nor anyone in the family was to know about it. 3. Take a weekly photo & email it to Stefano. 20 days afterwards, there was noticeable improvement. 13 weeks later, it was almost healed. 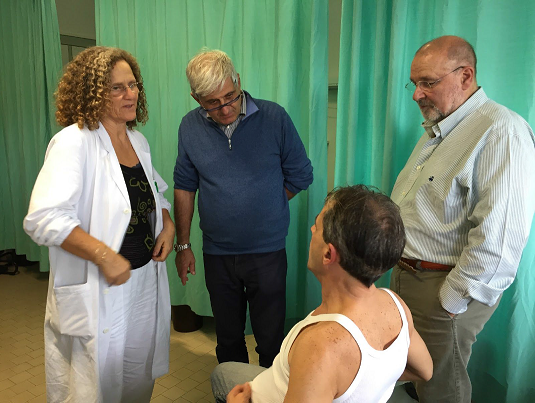 Stefano shared the photos of the open wound with measurements. Paolo is also a faculty member at the Careggi Medical School. Here at the hospital, Tom is surrounded by doctors as they consult him on difficult cases. Paolo presented a chart from his medical school days when his professor stated that evidence is not only researched based but evidence is also from experience based. Paolo told me that when he met Tom the first year he was a sceptic, the second year he was interested, the third year he was learning and now the fourth year he was practicing Tong Ren. Tom being interviewed by National Italian Television.